On the skyway level of the Thrivent building in downtown Minneapolis, amid a coffee shop and a guard station and throngs passing through, is a simple brown door. Behind it is a kind of heaven. A past exhibition in the Thrivent art gallery, on the skyway level of the financial company’s downtown Minneapolis headquarters. Rembrandt. Albrecht Dürer. Picasso. 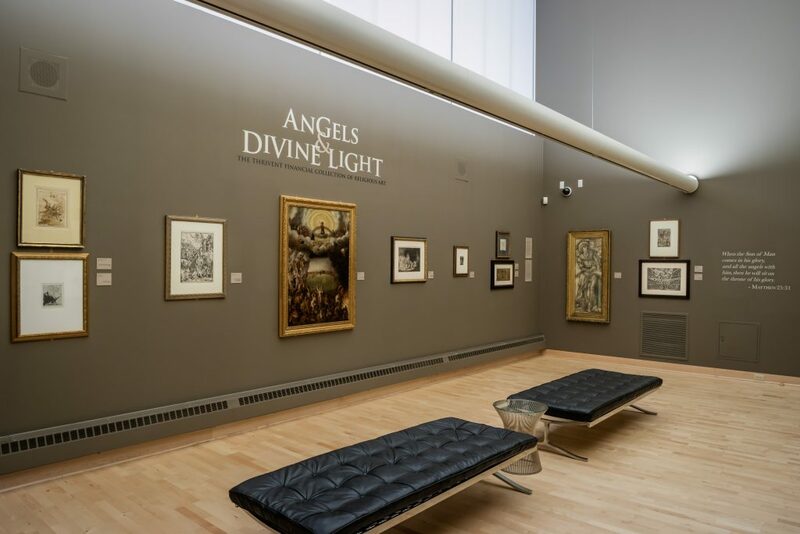 They’re all here, among some 1,200 prints and a small number of Old Master paintings, in the Thrivent Collection of Religious Art. A gallery of rotating exhibitions is open to the public—Monday through Friday, 9:30 a.m. to 4:30 p.m., as though it were any other working stiff. To stumble across it, and let the door close on the lattes and lunch-seekers outside, is to slip away into a quieter, parallel world of spirituality. A little more than 15 years ago, Joanna Reiling Lindell was in her early 20s, fresh out of the University of St. Thomas, when she began to take over the curatorship of the collection from its founder, the Rev. Richard Hillstrom. A Lutheran pastor in St. Paul, Hillstrom had traveled and collected art for decades—saving his modest pay, negotiating with artists on the streets of Paris, sometimes waiting years to obtain a piece that had caught his eye—before advising Lutheran Brotherhood (now Thrivent) about starting its own collection in 1981. He acquired some Old Master paintings for the financial company early on before concentrating on prints. 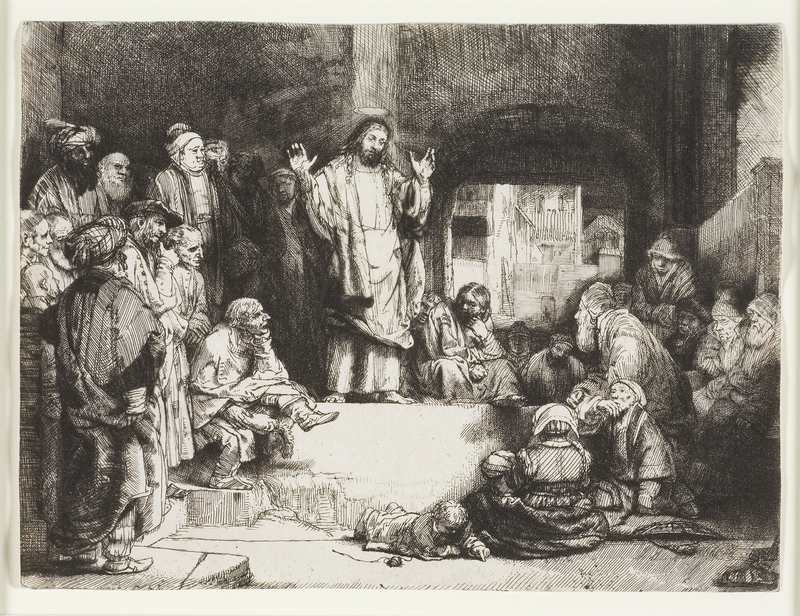 A masterpiece in Thrivent’s collection: Rembrandt van Rijn’s La Petite Tombe (Christ Preaching), c. 1652. Courtesy of the Thrivent Financial Collection of Religious Art. His instincts proved valuable. Hillstrom’s first purchase for Thrivent was a crucifixion scene by George Bellows, better known for his gritty urban scenes from the early 20th century, such as A Stag at Sharkey’s. He then managed to acquire two of the most famous prints from the most famous printer of them all, Albrecht Dürer: Knight, Death, and the Devil, and St. Jerome in His Study. By the time Reiling Lindell came along, Hillstrom was ready to pass the baton. “He was in his 80s then and hadn’t found anyone to take over,” Reiling Lindell says. “About halfway through my interview with him, I realized he was giving me the job. He even said something like, ‘When I see you on Monday…. '” It was a right time, right place kind of thing. One of the Luther portraits on loan to Mia, by Lucas Cranach: Martin Luther in Profile with Doctoral Cap, 1521. Courtesy of the Thrivent Financial Collection of Religious Art. 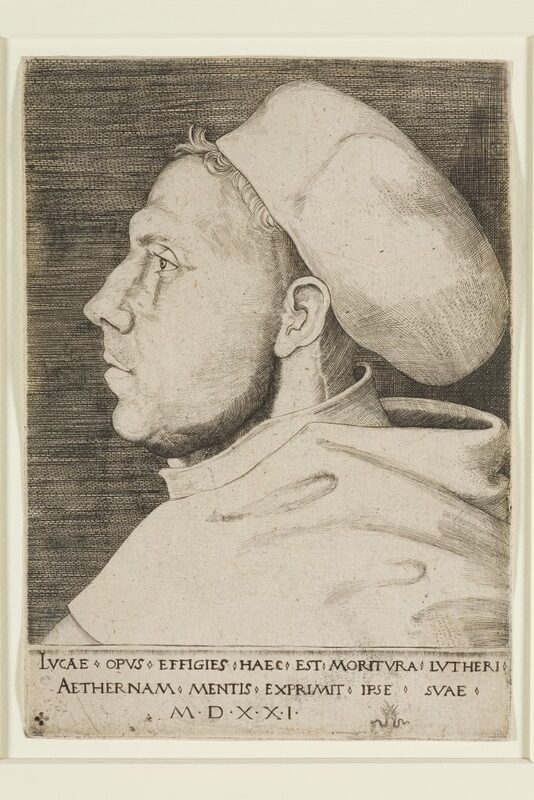 When Tom Rassieur, Mia’s head of Prints and Drawings, mentioned a few years ago that Mia would be assembling an exhibition of Luther-related works around the 500th anniversary of the Reformation (“Martin Luther: Art and the Reformation,” on display at Mia through January 15), Reiling Lindell spearheaded Thrivent’s generous support. She also happily volunteered any relevant art. Ultimately a handful of important prints, including a couple portraits of Luther, made their way across town to Mia. With help from her two assistants, Reiling Lindell is now putting together Thrivent’s own show related to the Reformation anniversary and working on a book, Inspiring Generosity, that offers scriptural context to 40 prints evoking benevolence in the collection. Most corporate art collections are the decorative type, or a highly personal legacy begun by an art-minded executive. It’s exceedingly rare, Reiling Lindell says, to find a corporate collection with a historic focus, much less a mission. 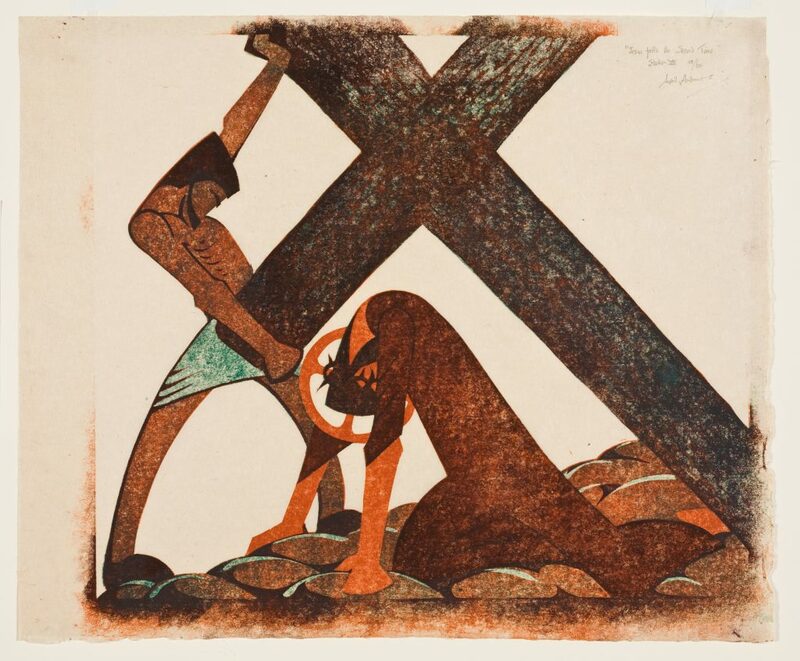 Station VII: Jesus Falls for the Second Time, from 1977, part of the Stations of the Cross series by British modernist printer Sybil Andrews. Courtesy of Thrivent Financial Collection of Religious Art. The exhibition “Curious Creatures: Animals on Paper” is now on view in the Thrivent gallery at 625 Fourth Ave. S., Minneapolis, skyway level. Top image: Hans Brosamer (German, 1506-1554), Martin Luther, c. 1540, hand-colored woodcut. Thrivent Financial Collection of Religious Art.